Is Obama willing to have the Middle-East destroyed in a nuclear war ? 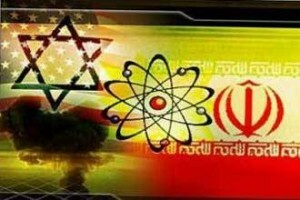 The fear arises the US is willing to destroy the Middle-East by means of a nuclear war, rather then let it fall in the hands of Russia, China and Iran.This is because the US military and administration has rotten to the core under the MICC-Banking regime,which the US holds sacred at least since 1913 (when the “Federal” reserve was formed). “The White-house Othello turned in to an American Hamlet”. It is impossible to extract or transport Petroleum, Natural-Gas or any other natural resource from or through a land polluted by nuclear fallout. Fukushima, just without a local regime to conduct damage control and mitigation. fuel, why explosion may trigger those warheads. 3. Dirty-bombs, which are designed to pollute large areas upon a simple explosion. * the exception being nuclear suitcases, which are very hard to find.Special troops are far too small and vulnerable in order to posses the logistics or the persistence on target, required in order to dismount, shutdown, neutralize or retrieve nuclear devices. Syria possesses huge amounts of commando, mechanized infantry, tanks, artillery, helicopters and professional officers, plus lots of Russian and Iranian commando units, in order to admit for leisurely raids of special forces deep in to Syrian heavily protected installations. If the US attack on Syria is going to suffice with bombardment, then if the US intelligence knows exactly were all the Syrian nuclear material is found, then upon bombardment it would pollute Syria and possibly some of its neighbors. If the US intelligence doesn’t know where all that nuclear material is found, then the already hopeless local regime, or the Iranian troops in Syria, may drop it on Israel on the service of the remaining Mohammedan front – destroying a western stronghold and achieving deterrence. In order for Israel not to nuke Iran in retaliation, Iran has claimed its troops have just left Syria – which is an utterly unlikely move. Upon a US attack on Syria, the Hezbollah declared it will open a war with Israel, based on artillery and guerrilla. Israel will then be forced to regroup under intensive fire, and cleanse the Lebanon from Hezbollah. This will take months, and eventually will lead Hezbollah to threaten to use its chemical weapons like it did in 2006. Israel will then threaten with neutron bombs and Iran will threaten with its own nukes. Since both are with their back to the wall, the chances of a mutual nuclear war is quite high. 1. Destroy all airborne, ballistic, air-defense, naval, Armored vehicles, military and government positions. 2. Send in ground units to capture the nuclear installations and the air and sea ports, in order to prevent resupply from landing in the country. 3. The local guerrilla topple the regime. Anglo-America, thus its possession named NATO, is controlled by globalist bankers, rather not by industrialists, thus it considers the world to be made of assets, which it tries to grab, and of threats, which it tries to destroy. This destruction encompasses the indiginous populations of those countries, which have been eradicated by means of government lead: narcotics, feminism thus demographic decline, LGBT supremacy, racist invasions, 3rd world invasions and financial terrorism. Thanks to the internet, the whole world knows those globalist bankers are pathological liers and genocidial eradicators of nations and of cultures. This attitude originates in antiquity and doesn’t fit a nuclearized world were nations which are pushed to the corner are not going to take abuse but rather resort to active nuclear deterrance against this globalist terminal threat. Had the US reformed itself in order to put the survival of its nation ahead of the greed of its globalist bankers, then perhaps other countries could trust it and take example from it. The present western Saber-rattling-based brinkmanship is conducted vs. regimes which were established, financed and armed by the west (US, France, India, Israel) i.e. Russia, China, Pakistan and Iran. The Israeli prime-minister advocates the NATO attack even though Israel has no existentail fear of Syrian chemicals, given its own nuclear deterance and even though his advocation draws fire it Israel direction, e.g. large loads of artillery from Hezbollah and extensive guerrila warfare. Famous leaders did oppose TPTB policies and were murdered: Stalin, JFK, Rabin, a list of other US presidents and long lists of other US and Israeli politicians. Putin does seem to object the US tenaciously in Egypt, in Syria, in Calling Kerry a liar, and is being subjected to overt destabilization movements inside Russia. The amassment of Navy ship and submarines in the eastern Mediterranean by the US, UK & France vs. Russia & China looks for now like a property-owners voting ballot, were votes are weighted by the volume of power demonstration. This happens amid the G20 meeting in St. Petersburg. The F-35 program is a dud [Link] and the only guided bombs which fit in to the bomb-bays of the F22 are glide-bombs, rather not the longer air-ground missiles. Thus it needs to drop them low enough, for the high-altitude fast winds not to drift them away off their targets. This means flying within range of many SAM types. * SAM SA-numbers demote categories, which experience ongoing modernization, including Software upgrades on the field, thus are ever more lethal. Since there still doesn’t seem to exit a public list of the alleged fatalities of the claimed chemical attack in Damascus 21 August 2013, yet the US seems hell-bent on arresting a war on Damascus, which intended scope seems on growinf quickly, this article reviews the enemies the USA has set to itself and the prevalent failure modes which are likely to plague this US war campaign and turn it into the turning point in the history of the west, after which the west will be an equal partner to Russia and to China. It may easily be the end of Israel too, both directly i.e. by its Muslim enemies and indirectly i.e. due to (1) the decline of the west which instantiated it and sustained it in order to eventually inherit it from its Jews; (2) the implosion of the humongous real-estate bubble in Israel, which has been Israel’s primary policy since 2005. Jerusalem may thus come under the present Byzantine Empire, i.e. Russia, rather not under the western empire. Syrian war: a British-Russian conspiracy against Merkel/Euro/NATO? Showing the Anglo-American official policies face a dead end. (c) loggerheads with Russia since the mid 19th century. Now it seems the US seriously considers a 3 month long conventional war in Syria,which of course implies a full war between Syria/Lebanon and between Israel/USA, where Israel provides the large-scale ‘boots on the ground’, which is the main trigger mechanism for RNBC retaliations being poured on it.